In the last issue we looked at the advantages and disadvantages of digital underwater photography compared to traditional film systems. Now we’re going to look at what kind cameras and housings are available on the market today, the costs involved, and which one is right for you. The production of cheap poly carbonate housings for consumer level cameras such as the Olympus C7070 and Canon S70, has made it inexpensive for the first time to submerge camera’s which offer features which in the past were only available on more expensive SLR’s. 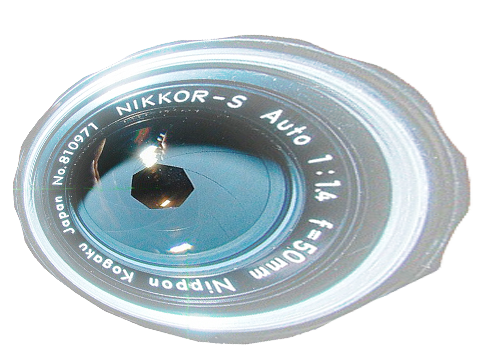 Housings for compact cameras are produced by the cameras own manufacturer, and also appeal to the outdoors market, making them much cheaper than if they were just being used by divers. Because compact’s offer so much flexibility at a fraction of the cost, they occupy a large part of the market, and nowadays nearly all divers have a camera and housing, often small enough to fit into a BCD pocket. Using a compact camera and housing means you can use the same camera that you use on land, whilst diving. This saves costs, and means you only have to travel with one camera. There’s also a huge range of accessories available for compact’s, including filters, external flash units, and supplementary wet-lenses that can be removed and replaced underwater to suit your subject. Another great thing about compacts is that the LCD screen can be used for composition, not just reviewing images and navigating menus like an SLR. Compact cameras are easy to travel with; we hear more and more about divers in disputes with airlines over fares for excess baggage, and underwater photographers are often caught out whilst struggling to get their heavy equipment to and from their destination. A complete compact camera system can weigh as little as three or four kilos, which means it is easily transported in a rucksack. There are many cameras and housings on the market at the moment, but most people agree that Olympus are the most versatile systems available. Filter threads are a standard feature on the Olympus range, which leaves you much more choice in the range of accessories that you can attach in the future. This also stops you having to use adapters to add accessories, which can be expensive and often introduce many more parts into the system. Whichever system you choose to go for, check that the camera offers you aperture and shutter priority modes; the majority of compact cameras only have fully automatic exposure systems, which do not offer enough flexibility for use underwater. Also check that the housing will accept any accessories you may need to use in the future. For example, if you plan on photographing very small critters such as nudibranchs or pygmy seahorses, then you’ll need to make sure the system you’re looking at will accept a close-up or macro lens, otherwise it will not be appropriate for you. The main disadvantage of a compact camera is shutter lag. This is a small delay between pressing the shutter release button, and the camera actually taking the picture. When you first use a camera with shutter lag it can be very distracting, especially if you’re used to the instant shutter release on an SLR. If the camera is very slow it can stop you getting the picture you wanted. If you plan on photographing fast moving subjects, a compact may not be the best route to take. Compact’s suit most peoples needs, they can be carried on every dive for a quick snapshot if the opportunity presents itself, or they can be kited out as a complete system for more serious photography. One of the hot cameras at the moment is the Olympus C-7070. A 7 mega-pixel compact which offers you plenty of control, excellent image quality, and a housing which will accept a range of accessories. The camera and housing together should cost you around £500 (US$875). Also known as amphibious cameras, these are systems which are designed specifically with underwater photography in mind. Cameras such as the newly released Sea and Sea DX8000G, offer an ‘all in one’ solution to an underwater camera, and often include handy features such as built in colour corrective filters. Amphibious cameras generally offer the same sort of functionality as a camera in a housing, in fact that’s exactly what an amphibious camera is, a normal digital camera built into an underwater housing. There’s nothing special about the camera which makes it more suited to underwater photography. Compact cameras and amphibious cameras share many of the same advantages and disadvantages, they both suffer shutter lag, yet they both offer you the versatility of being able to change lenses underwater.